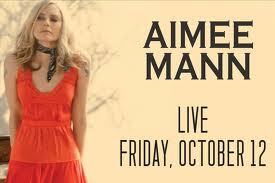 Aimee Mann plays Friday October 12th at The Rialto Theatre in a KXCI Presents! concert, doors open at 7pm with Field Report. Since departing from her band Til' Tuesday, Aimee Mann has continued a successful solo career in music and film. Field Report are a new indie-folk band led by Chris Porterfield, who was a member of the same fertile Wisconsin band, DeYarmond Edison, that also spun off into Bon Iver and Megafaun. Calexico play another KXCI Presents! concert at The Rialto Theatre on Friday, October 26th.